With the end of World War II, the French vehicle production is starting to perk up again, up from a low of 10,000 in 1944 to 34,625 in 1945. However given by 1944 almost all vehicles produced in the country are trucks destined to be used by the German army, logically in 1945 it is the trucks that are the fastest to ‘recover’, only having to switch back to French users. Only 4.5% of vehicles produced in the country in 1945 are private cars, almost all of them (1,525) being Citroens, potentially the Traction Avant. 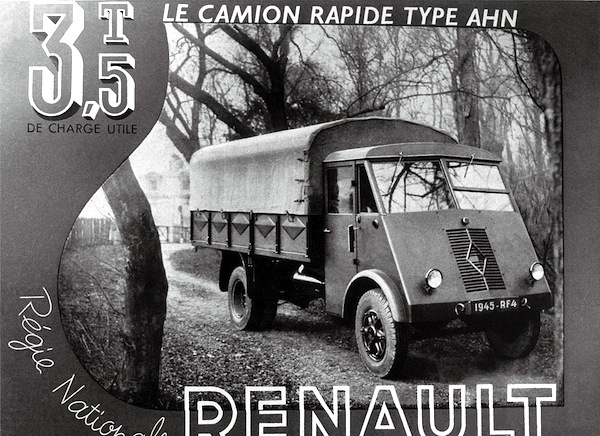 Renault dominates the overall production charts with 12,010 units (including 12,005 trucks) ahead of Citroen (9,200), Ford (4,900), Peugeot (2,800) and Berliet (1,600). All other manufacturers produce less than 1,000 units this year. Full Year 1945 Top 15 producer Ranking Table below.